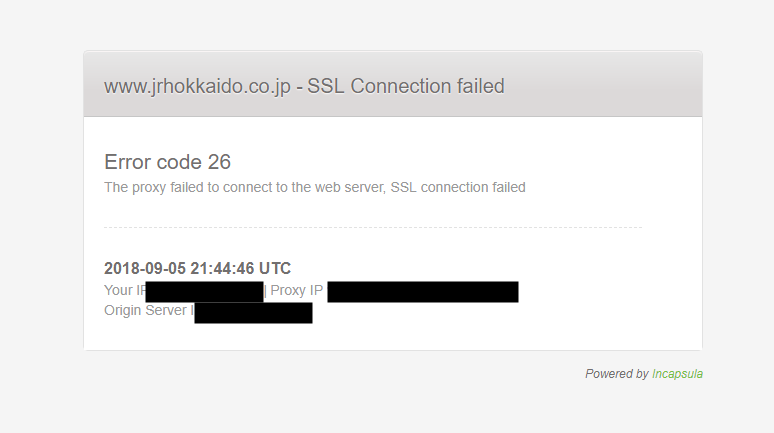 The proxy failed to connect to the web server, SSL connection failed. 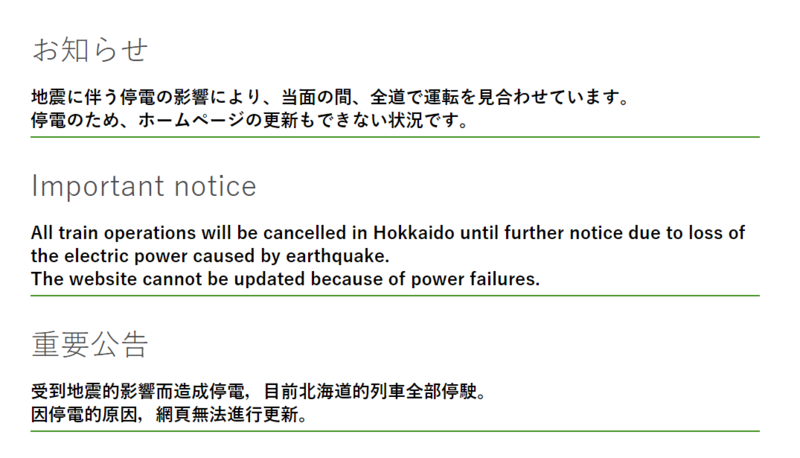 All train operations will be cancelled in Hokkaido until further notice due to loss of the electric power caused by earthquake. The website cannot be updated because of power failures.